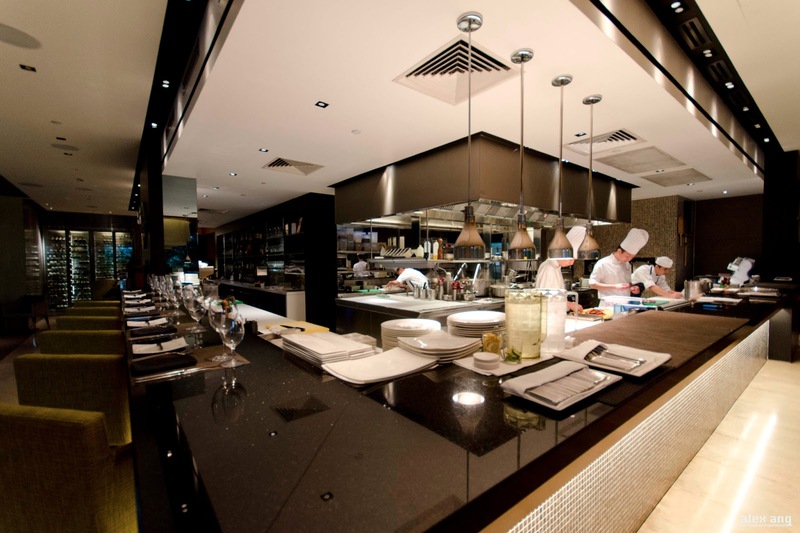 Almost 4 years after shutting Osia in London, Scott Webster went on to open a restaurant of the same name at Resorts World Sentosa in March 2010. 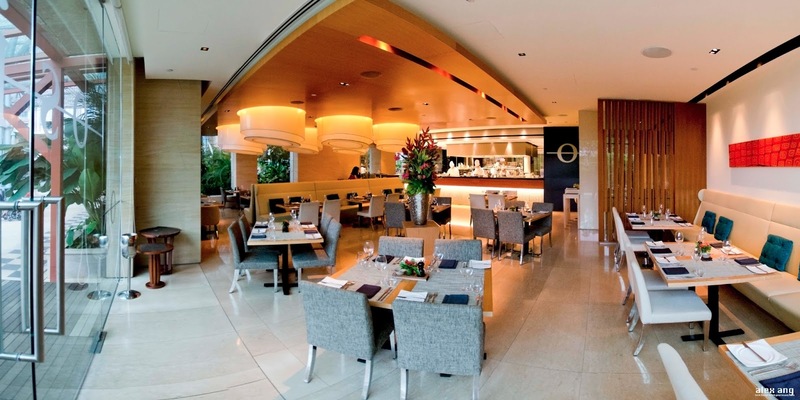 Marketed as a celebrity chef restaurant, the Singapore concept is the result of Webster’s collaboration with Otto Weibel, former executive chef of Swissotel the Stamford and Fairmont, although the former is very much the poster-man. Osia holds court in a glass-fronted space along Festive Walk, opposite the twin restaurants of its more famous celebrity chef neighbour, Joel Robuchon. Unlike the latter’s glamorous black-and-red setting, Osia is bathed in a neutral palette with lots of wood accents in a decidedly contemporary space overhung with swirls of cylindrical hanging lamps. Perhaps the biggest eye candy is the L-shaped counter-top that abuts an open show kitchen – it’s here that you’ll find thestone hearth oven that churns out the much-talked-about flavoured flat bread (S$11). For his Asian outpost, Scotts Webster has distilled a seafood-centric menu that draws inspirations from produce from around the world and these are deftly executed using European techniques by chef de cuisine, Douglas Tay. 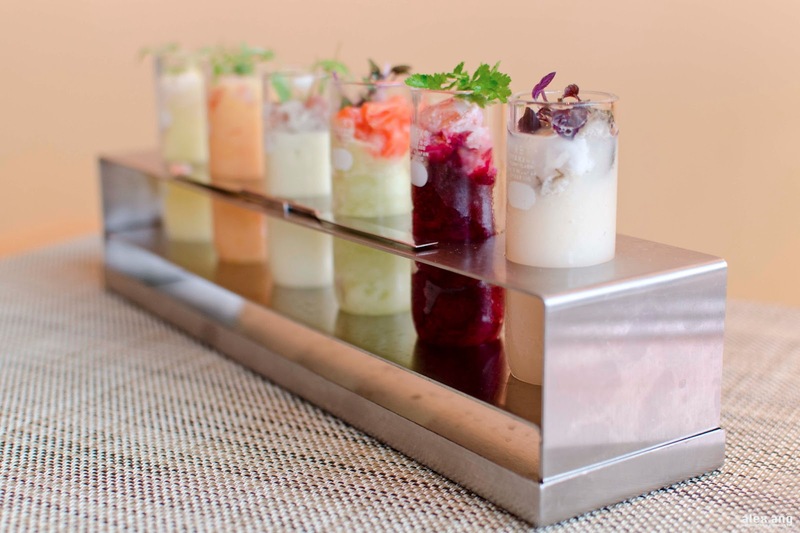 If Tay had his way, he would have you commence the meal with his seafood ice experience (S$36) – an experimental concoction of chopped seafood in cocktail and/or slush served in glass flasks. Perhaps not the best use of fresh seafood, there are gems to be found in the flask of sweet prawn in quandong orange and the oyster in a shot of lychee martini. But if you prefer a what-you-see-is-what-you-get approach, options are aplenty in the a la carte. 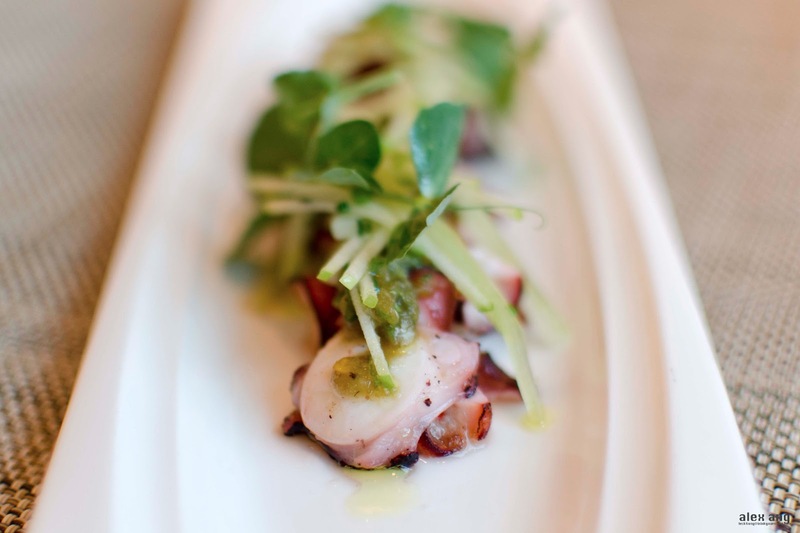 Lemon-marinated Fremantle octopus (S$24), a starter from the ceviche menu, is niftily char-grilled in the stone hearth oven to reveal a succulent crunch and served with a dollop of piquant green chilli jam. 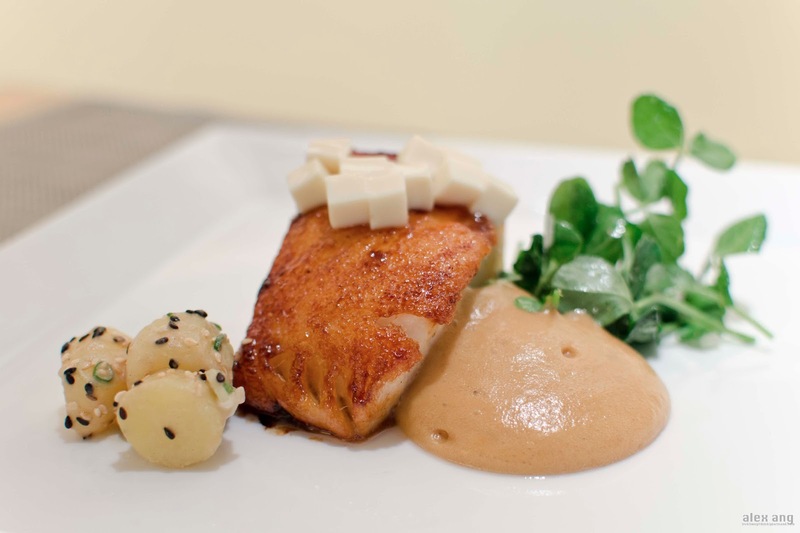 For mains, the plump hunk of grilled sea perch (S$48) that arrives with sesame-studded ratte potatoes scores points for solid execution although we are not fans of the overly sweet shiromiso foam that accompanies it. Seafood lovers will endear themselves to the dish of pan-seared Hokkaido scallops with deep-fried filo pastry-wrapped Spencer Gulf wild king prawns presented on a savoury emulsion of cod brandade (S$68). It’s a near-perfect dish save for the over-cooked prawn. It’s not just about seafood at Osia – from the foie gras to the milk-fed lamb, meat lovers are spoilt for choice. Truth is, unlike you’re a carnivore, you won’t miss the meats but we’re willing to make an exception with the part–crispy, part–gritty ambrosia of polenta-dusted pan-seared foie gras, S$32). 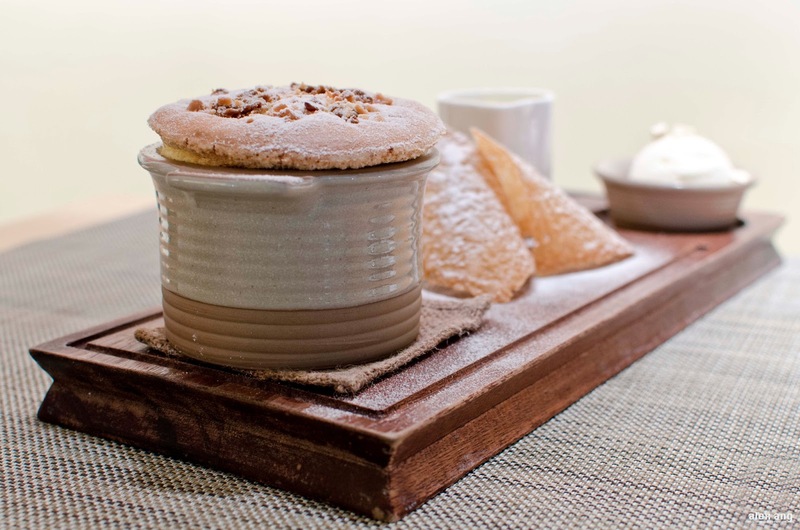 If you have a sweet tooth, you’ll adore Osia’s rendition of macadamia soufflé for 2 (S$30), a gargantuan serving of soufflé with banana custard and bits of macadamia nuts served alongside a scoop of sour cream gelato. At S$30, it’s not cheap but for the sheer quantity and quality, take it from us that it’s well worth it.